1) I have been looking for THE guitar for myself for many years, I play jazz / funk, meanwhile I put several high-priced and well-known guitars in the course of the search. Nevertheless, the search never came to an end, for two years I was again informed in more detail in all appropriate directions and was willing to take more money in the hand .... and then ordered the (actually not for Jazz obvious) Strandberg from a spontaneous Pulse out. Order was fast and easy as always at Thomann - Thanks! 2) The guitar was set perfectly and without any (even the smallest) production defects (as they are partly criticized on the Internet). 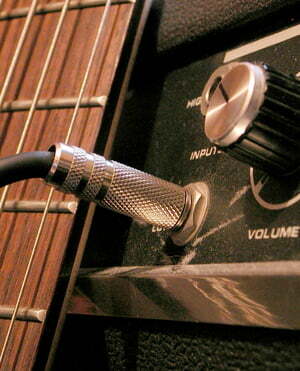 Also, the guitar is now equipped with the updated tuners - Thomann has apparently always the current models. 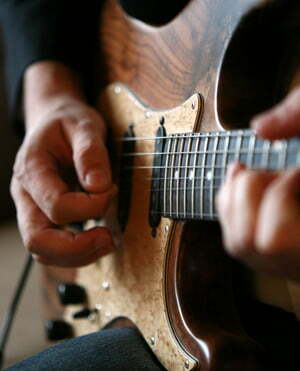 3) The guitar itself is just a dream. All ergonomic innovations (neck shape, frets, weight, ..) developed by the Strandberg fit - at least for me - perfectly. But also the sound is fantastic - clear, with a sustain that is surprising for the weight, full, perfectly intoned, without deadspots, versatile, ... even the clean sounds necessary for jazz sound perfect. It took me a few hours to find my way around more elaborate chords on the fanned fretboad, but it was immediately obvious that this familiarization phase would be manageable. Meanwhile, I feel completely "at home". In summary: I now own some (including high-priced) guitars, all from well-known manufacturers - no one complimented me like this. I have the guitar in my possession for a few days now and I'd like to say a few words about it. I do not usually write reviews, but maybe it helps others to opt for this, or another product from Strandberg. I'm from the Blues / Rock direction and I'm sure I'm far away from a guitar virtuoso, but recently I was looking for a new guitar, so I "stumbled" on this sweetheart. I was looking for a guitar that is as light as possible, equipped with two humbuckers and 5 way switches (splitsounds), stainless steel frets and a roasted maple neck. All these features combine this guitar and have more features that make them all the better! The Fanned-Freds are very light and the "Endurneck" neck looks funny at first glance, but it took me only seconds to feel comfortable ! In addition beautiful, resonant woods and a beautiful, versatile, clear and if desired brutal sound result for me an absolute dream instrument !!! The point of deduction in the processing comes only from the fact that the guitar is made in Indonesia, still costs over 2000 euros and I noticed a few small things in the woodworking. But I would never think of exchanging them, or even looking for an alternative. So maybe my little rating will help break a lance for the Strandberg brand and encourage more people to get those great instruments. !!! CLEAR BUYING RECOMMENDATION !!! ID: 423237 © 1996–2019 Thomann GmbH Thomann loves you, because you rock!